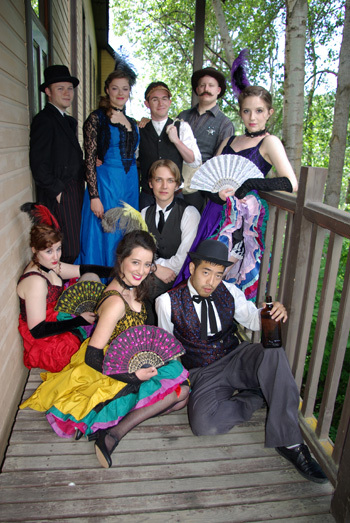 Every summer for the past 27 years, the Gold Fever Follies have put on a different show, each loosely based on the historic events and people of Rossland’s early gold rush days. This year’s A Job Well Done, written by past Follies member, Kate Eldridge, takes place in the Columbia, a new dancehall that was the first of its kind. Frank Hanna Jr., son and namesake of the founder of Trail, is miserable in life and in love, but when he meets Josie, a dancehall girl from Spokane, his world is turned upside down. However, he isn’t the only one vying for her affections. His competitor, Ed Roberts, is a newcomer who claims to be a contractor hired by the CPR, but he appears to be doing the town more harm than good. Frank needs to win Josie’s heart for both his sake as well as for Rossland’s.